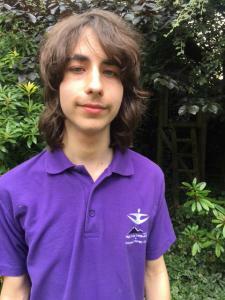 Jamie is a member of High Peak Trampolining & Rebound Therapy Club. Jamie Allott is 17 and lives in Glossop, where he volunteers at his local gymnastics club - High Peak Trampolining & Rebound Therapy Club. The club runs regular sessions in Glossop for children and young people of all abilities. Jamie explains why he volunteers, what he gets out of it and why, as someone who has ASC (Autistic Spectrum Condition), it helps build his confidence. When did you start volunteering with the club? "My trampolining coach, Emma, recommended it to me around a year ago (2015). The reason why I got into volunteering was because it was an opportunity to develop skills in the workplace. "I wanted to help Emma and the children because I have gained so much from being involved with the sport myself." What volunteering roles have you done at the club? "As a young leader, I have helped set up trampolining equipment prior to the start of sessions every Wednesday. I plan and teach two children with disabilities in their rebound therapy with Emma's support. I also volunteered for some sessions throughout the summer holidays to help young children do various sporting activities. "What I have enjoyed about these roles is having a sense of independence, being able to set up equipment without much help. I also enjoyed learning about how to approach children and putting into practice improvements that I made with the skills I had obtained. "This included encouraging them to try new activities and keeping them safe, as well as teaching them new skills." Jamie has learned a range of skills volunteering in Trampolining. What are the main skills that you have learnt? "I have learned about how to properly and safely set up equipment with little guidance. In addition, I have also learned to take account, in this exact order, the safety of children, if they are enjoying the activities that they have being asked to do and what they are learning as they are doing the activities. "I have really learned about how to communicate to a wide range of different people." How has volunteering helped your confidence and social skills? "It's great to see and talk to the other young leaders. "When it comes to my confidence, I feel that it has gone up, considering that I came to learn gradually about how to work with others." What would you say to other young people who are thinking about volunteering in sport? "I would personally recommend it to other young people who are considering the possibility of volunteering. I personally support the idea of having more disabled people like me being able to volunteer and increase their confidence by working with others. It's great to be the one helping and seeing the difference I can make." The IMPACT project is running in 2016. What would you like to achieve with volunteering in sport? "I would like to gain some qualifications in coaching or even do an apprenticeship in sports centre work. I might even eventually get a job in some capacity which involves sport, specifically trampolining." If you would like to find out how you can volunteer, check out the volunteering pages of our website. On these pages you can register as a volunteer and search for local opportunities. 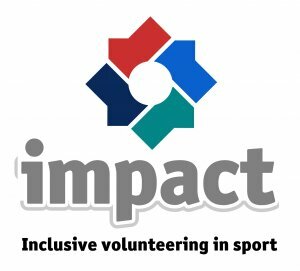 In 2016, the IMPACT volunteering project is running that supports people with a disability to find volunteering opportunities in sport. Find out more on the IMPACT pages.